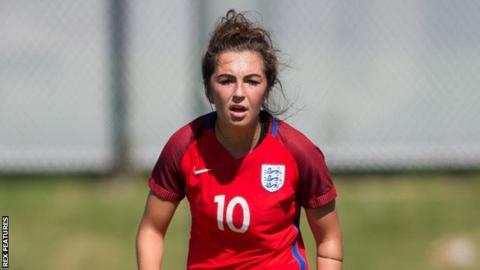 England Under-23 midfielder Katie Zelem has left Liverpool Ladies to join Italian side Juventus Women for an undisclosed fee. The 21-year-old joined Liverpool from Manchester United in 2013. She helped the Reds win back-to-back Women's Super League titles in 2013 and 2014. "I have been at Liverpool Ladies for a few years now, so I felt as though I needed a new challenge," Zelem told the club website. "I have had a wonderful four years and will take away some great memories."